Hi everyone, first time here and already begging for help on second day. but it would load cornerstone because of permissions. so upgraded to pro for £11 because it's built in. thought it would just work. when I clicked on licenses, it showed pro straight away. but something wasn't right. I looked at a link which explained about ftp permission changing. through filezilla, I started changing and accidentally deleted a wp folder. so i downloaded a zip of wordpress and replaced what i thought i'd messed up on. but shut down my whole site, and couldn't do anything. I haven't lost any work because I'd just started. 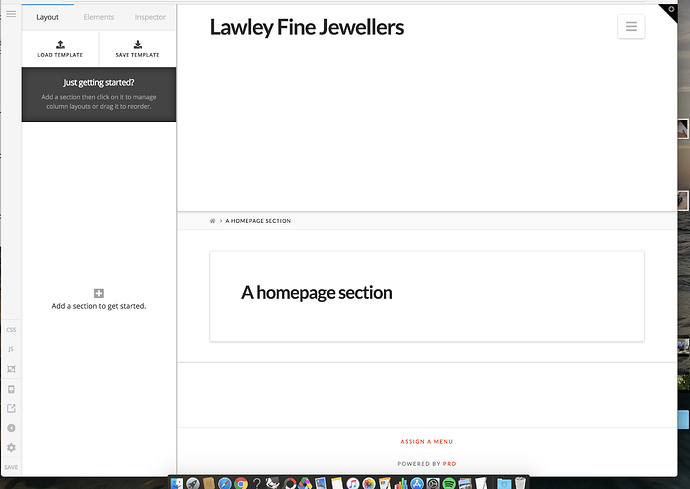 I'm a jeweller that wants to do his own site. my server provider this morning has emailed to say he's reset it for me and i'm back to a fresh install. To the point now. I have a fresh install on ftp server to start. I have the 199mb zip folder for X theme and the 29mb Pro theme. Do I need to upload X theme to server? as well as the Pro theme. Or can I just upload the Pro theme to the server? Been having a terrible time getting my head around. Let me correct you first that X and pro theme are two different theme. No need to install both if you are using one. Regarding the size X and Pro are 6MB in size individually. Not sure how did you know that its 199MB and 29 MB? If you have downloaded the file from Theme forest please unzip it inside that you will get X folder which is the Theme folder. I activated Pro on it's own but I have no Cornerstone. Is this normal? Does this content screen after pressing edit look correct? Yes, that's fine. I would also like to let you know that in Pro Theme there is no need to install Cornerstone separately as it's already built into the theme.